It's no secret that I love kitty cats, and my instagram accounts and facebook photos are filled with photographs of my cat - Bob (I will be doing a more detailed post about Bob very soon). 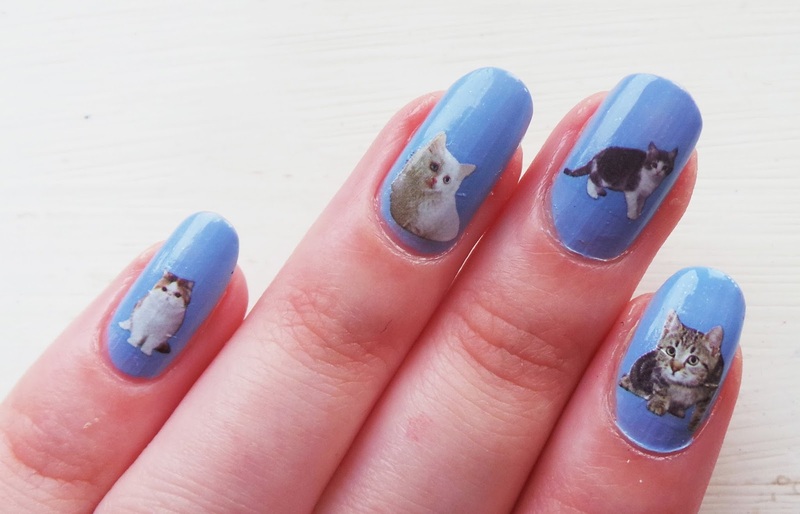 So when I saw these adorable Cat Water Decal Nail Stickers* on the Born Pretty Store website, I knew I had to have them! I decided to paint my nails using Essie's "Bikini So Teeny" which everyone was raving about not so long ago, before covering each nail with these little kitties! The decals were super easy to apply, fuss and mess-free and they adhered really well to my nails, over a week and a half later I'm currently typing this post still sporting this exact nail design! I especially like the cat on my middle finger because it reminds me of when we first had Bob as a kitten - too cute! 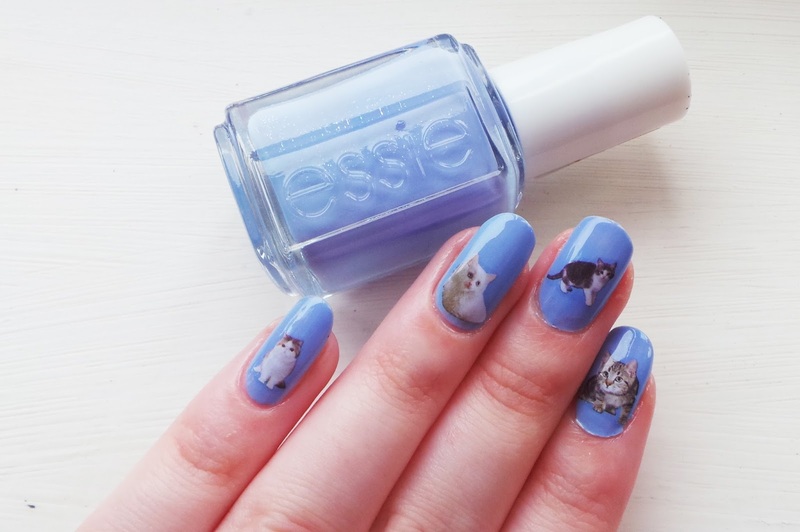 These nail decals are so cheap at just $2.86 (about £1.70) and you get free worldwide shipping, and you can even get 10% off using my discount code "LA5X31"
I loved the colour of the nail polish and the cat decals were so cute! Wow,so cute !! !Like it ! so adorable! love the color :)! OMG! 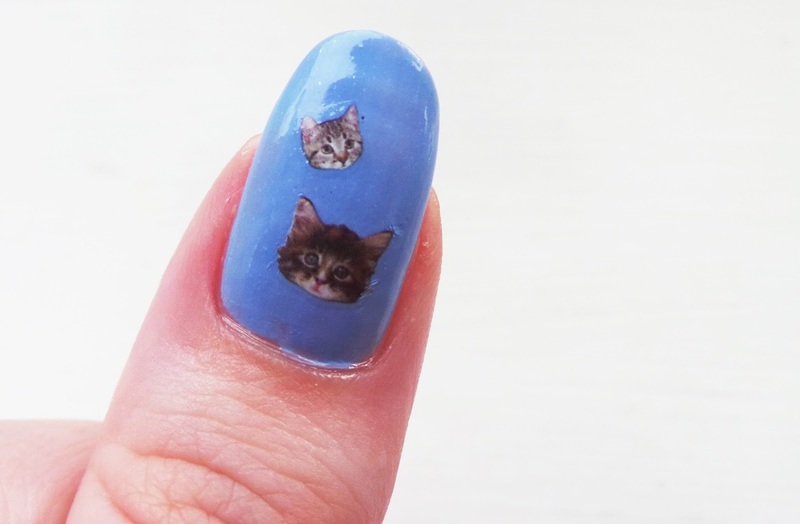 These are so cute I never thought of cat nails before! Aaah too cute! I absolutely love these :) - i need that nail polish too, the blue is lovely.